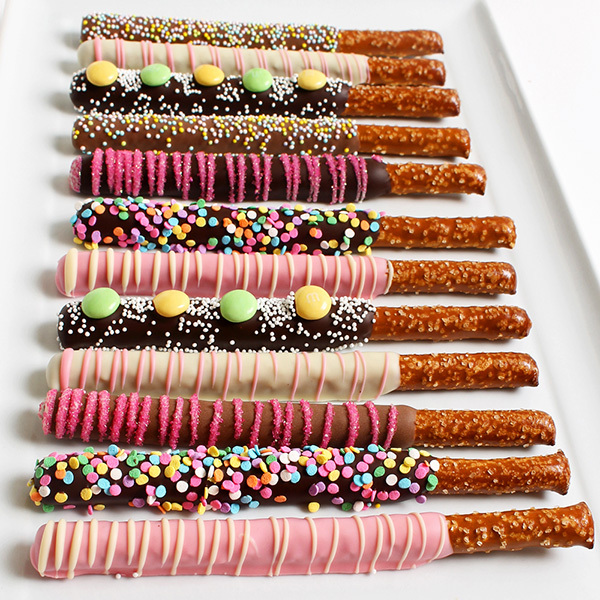 These pastel-colored chocolate dipped pretzels are a perfect combination of salty and sweet. Bursting with gorgeous springtime colors, these gourmet treats are the perfect way to celebrate the season. Crunchy pretzel rods are hand-dunked in our luscious Belgian chocolate and ornamented with sparkling sugar, pastel candies, and swirls of colorful chocolate.